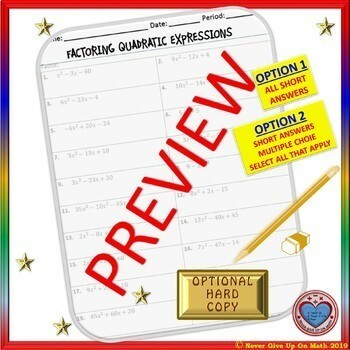 ✐ This 20 questions - (2 Options for Answers - 2 Links are included) product is a NO PREP & SELF GRADING 100% EDITABLE (EXCEPT FOR THE IMAGES) activity that will assess students understanding in how to work with Factoring Quadratic Expressions. 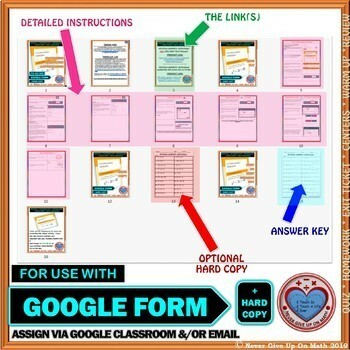 ☑ Option 2 (LINK 2): Has 20 Questions. 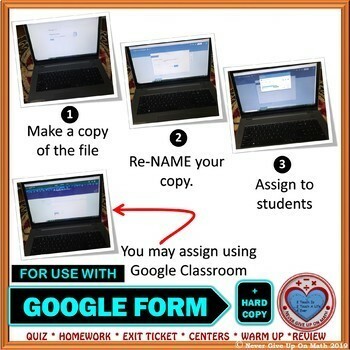 8 Are Short Answers, 8 are Multiple Choice, and 4 are Select All that Apply. 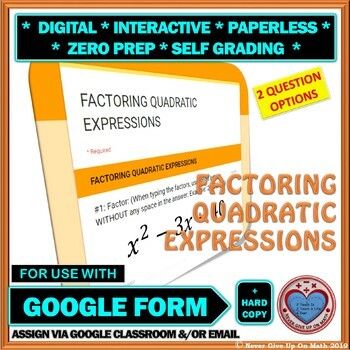 My Algebra II students have appreciated this quick quiz as it helped them to assess their understanding of Factoring Quadratic Expressions before we administered a major assessment on the concept.